Backed by the team of skilled professionals, we manufacture, supply and distribute a quality range of Board Master. The Board Master we offer is available in various sizes. 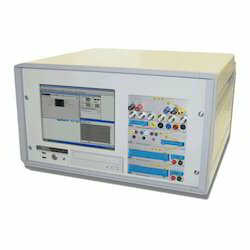 analogue test channels for component level fault diagnosis, a programmable power supply for the board under test, and the state of the art MIS 3 instrumentation module for general test and measurement.